I always wonder, if the foods you eat make you hurt more, wouldn’t you be more interested in learning which of those foods are making it worse, avoid it and learn what other options you have? Yes, and anti-inflammatory diet will probably include many of the foods you love. But do you LOVE the pain that much that you don’t want to even experiment? Let’s go back to some basics. What is inflammation? I probably wrote this in another blog post. But it bares repeating. There are actually two kinds of inflammation – chronic or acute (and not it is not usually pretty). The acute is the kind when you cut your finger, or sprain an ankle – you get swelling, or puffiness. And it usually goes away withing a week or two as teh body heals from the trauma. Chronic inflammation can actually look the same, but it keeps going and going and can last for years. And degenerate joints (like in arthritis), cause auto-immune response disruptions (Lupus, Fibromyalgia, etc) , and can be the cause of many digestive issues including IBS, Crohn’s or Colotis to name a few. The picture above gives a better chart of issues associated with chronic inflammation. Sometimes in chronic cases, the body starts to attack its own cells as the foreign invader. That is where most auto-immune issues stem from – some sort of inflammation in the body. But noone really knows where. And noone really knows why, at least not in the mainstream medical field. So how does the Anti-Inflammatory Diet(AI Diet) help? It is identifying the most inflammatory foods for you. Typically wheat, sugar, hydrogenated fats, and artificial ingredients are at the top. Here is an AI chart for reference that I created. Choose more from the foods in teh left column, and less of the foods in the right column. Eat those a lot, like you do at holidays (cookies, cakes, tortes, candy, etc) and your body spends more time dealing with the inflammation from the foods, rather than having energy on fighting infections (which is why we can get sick over holidays. We are eating inflammatory foods!) It is also another reason why people are so tired after eating inflammatory foods – they use up the vital energy we have. We only have so much. Why spend it on fighting inflammation?? I helped a client several years ago with Hepatitis C. We applied the anti-inflammatory diet to him. I still recall when he fell back into an old pattern and in a rush, he made hamburger helper with ground beef. Very inexpensive ingredients, easy to make, but within an hour of him consuming that dinner, he was passed out until the next morning. For him wheat and red meat were inflammatory, and very hard for his body to digest. Combine them (and the spices and other weird ingredients in Hamburger Helper) and it was like a double whammy. I know he never did that again! Thanked me later for giving him back his life! “What happens when you don’t follow Joanna‘s plan for eating (living) well? Clients response when I thought it is probably the wheat and sugar which we worked on removing, and got them OFF 2-4 meds a few months ago. I’m back on a pain medication and another medication to kill the side effects of this drug. No, it’s not worth it. Having Lupus is tough enough, I certainly don’t need to make it tougher. This is some of what inflammation does. Those symptoms can all go away. You just have to follow the plan. And the plan is a bit different for each person. But I use Nutrition Response Testing as well to help identify where some of the inflammation is coming from to help you know what to eliminate first. You learn which foods make issue worse, and which make the symptoms go away. Yes, you will make mistakes – I know I did along the way. My clients do, too. It is human. It is normal. And it is part of learning. 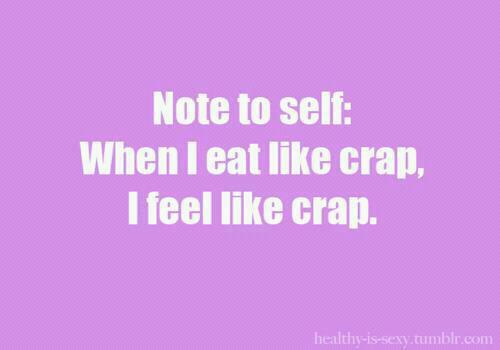 You forget why you stopped eating something only to realize it when you eat it again. And you are suffering with debilitating fatigue, pain or stiffness, or terrible stomach cramps, etc. I cannot tell you not to eat something. That would trigger you to want to eat it more. I know that has always been my issue. 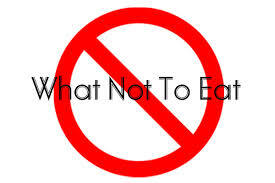 When I was on an anti-candida diet years ago, I got a list of foods I should not eat…..and only craved those very foods! So I don’t like to do that. Yes, I have a list. But we choose one thing to eliminate to help you determine if it is contributing to the problem. Then we experiment and see if that is making symptoms worse. We try it for 2 weeks. I give you alternatives of things you CAN eat (this is key!) If I told you not to eat wheat…..you would probably just starve, right? You need options and alternatives to wheat based products. The alternative grains as well as alternative forms of carbohydrates like root vegetables. I am here to help you get better than you are now. I am here to help you connect the dots between the foods you eat, and the symptoms you have. Together we can improve teh food so you feel better. A life without symptoms and no medications is so much better than suffering only because you don’t know a different way. You didn’t know there was an Anti-Inflammatory Diet that could help you feel like you again. Full of life, and full of energy.